Hey gang, Valkor here. This past Monday night (February 29th) is a night that I’m hoping is the beginning of one of many nights where I get to journey to Los Angeles, California for film premieres; a lot of the majors take place there and since TOV is film heavy, I think the two would go great together. And if my work schedule is OK with it, then I’m gonna make it happen. 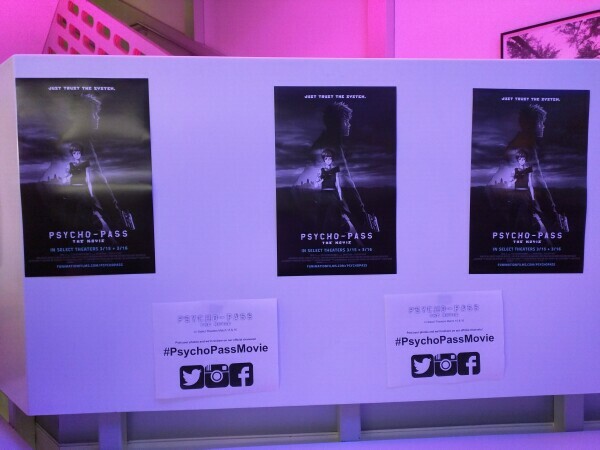 With that in mind, I would like to thank the fine folks at Funimation for the invite to the North American world premiere of “Psycho-Pass: The Movie”. It’s a damn good anime series and the new film compliments it well. 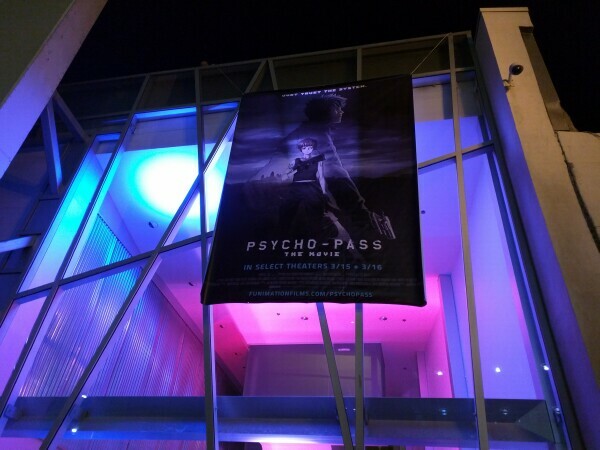 The "Psycho-Pass" movie event was held at the Downtown Independent Theater in Los Angeles. There was a nice crowd of mostly media types as well as social media influencers and all-around fans of the film. Things were a bit… confusing at first, because at the same time there was another premiere happening for a “Harry Potter” fan-film event. But once the crowds dispersed and the Psycho-Pass crowd sorted, then things were smooth sailing from then onwards. The guest was treated to an open bar, popcorn, a sweet goody bag and you could have fun with a Photo Booth as part of the after party. It was such a fun event and I’d gladly do it again. So, what about the film itself? 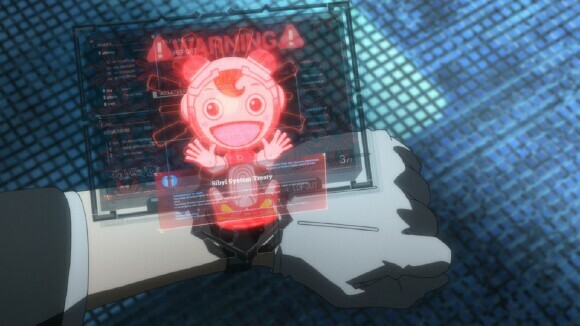 Before we dip into the film, let me give you guys, who might be unfamiliar with the series, a brief summary: the events in the Psycho-Pass series takes place in the dystopian future of 2113 and it’s something like a cross between “Minority Report” and “Judge Dredd”; the mental state of the populace is measured by a system known as Sibyl, which uses a set of parameters known as a “psycho-pass” to determine if one will commit a crime. If a person’s mental levels are too great, enforcers are sent into either capture or kill the suspect. “Psycho-Pass: The Movie” takes place two years after the events of season two of the series (or the year 2116 to be precise). And it shows that Japan is the only country capable of stability thanks to the implementation of Sibyl; with Sibyl in place, it not only keeps order but also chooses jobs for its people as well as wedding partners and where they should live. 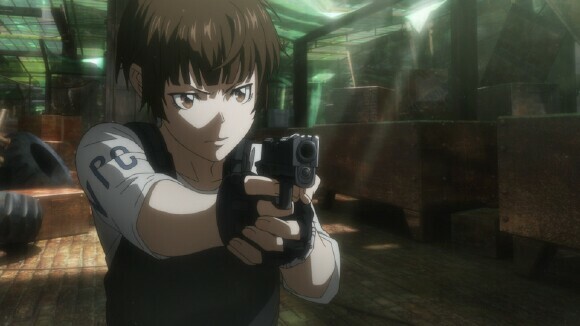 The film sets its sights on Akane Tsunemori, who takes part of an investigation after Japan is attacked by terrorist whom one of its members may be one she is very familiar with – Shinya Kogami. She is sent to the country of SEAUN (South East Asia UNion), that is in the midst of a civil war; Akane is working under the guise that the Sibyl system can help to set things right and bring about order in the country. 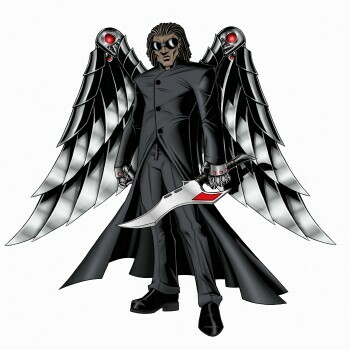 She is set up in SEAUN’s capital city of Shambala Float, where the country uses a form of control where anyone with a psycho-pass of 300, must wear a collar to keep them in check. If their psycho-pass goes over the limit then they’re injected with poison and killed. 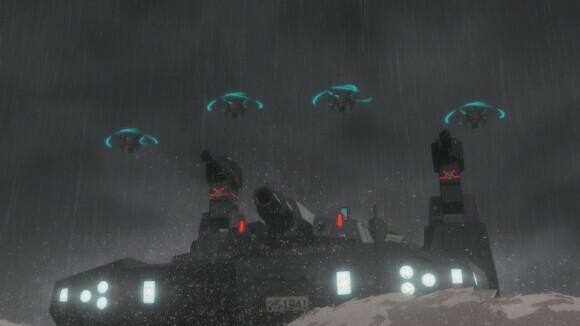 While Akane proceeds with her investigation and seeking out Shinya for answers, there’s another mercenary group that is sent in after her and Shinya. Regardless, the end of the film will have an impact on everyone involved and brings the series to a climatic close. I’m trying to be as spoiler-free with my “Psycho-Pass: The Movie” review as possible, because there may be some of you who haven't finished the series yet – and if you don’t want to know what happened/happens to some of its key players, then definitely finish up the series before diving into this film. 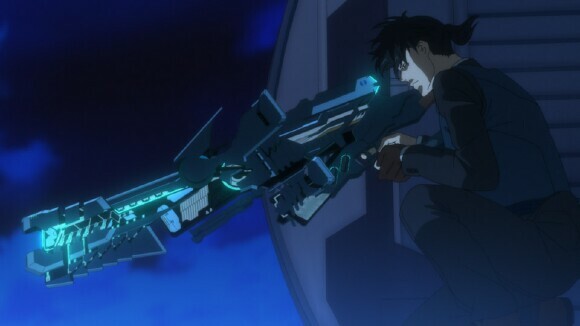 "Psycho-Pass: The Movie" is a great companion to the two season series and it compliments it quite well; even though some time has passed within the story, it never feels awkward or so new that you need time to adjust. The film carries a rich and engaging story with loads of drama and tons of action that’ll keep you entertained from start to finish. While Akane (and to an extent Shinya), carry the bulk of the film, fans will get a few surprises from past characters. And the new ones work well; my favorite are the mercs, who bring a huge chunk of the awesome fight scenes with them (and they are awesome). In some areas – especially towards the end, it does get philosophical, but it’s what you’d come to expect from a series involving psychological crime fighting run by a “system”. Fans of Akane and Kogami will certainly be in for a treat – nothing romantic, but it’ll be great seeing them together again. Visually, the film is impressive and a bit of a step up from the show, which also looked great. And I will admit, I actually liked the American voice dub; there aren’t too many dubs out there that I like, but the voicework was pretty sleek with the major English actors matching quite well with their anime counterparts. 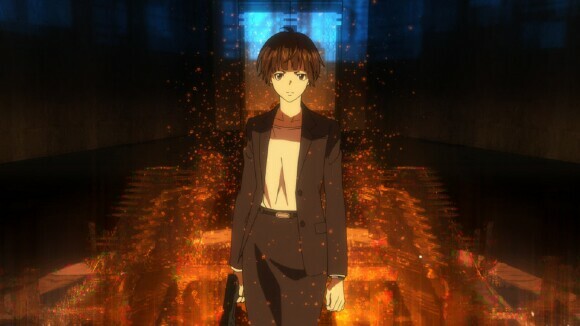 In the end, if you’re a fan of the series then you’ll definitely want to check out "Psycho-Pass: The Movie" as it does a wonderful job closing out the series (unless season three is announced). 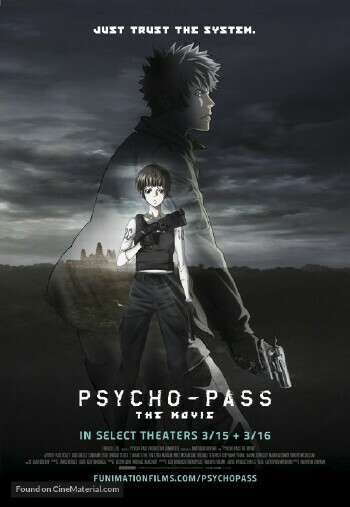 While I enjoyed "Psycho-Pass: The Movie", the film could have easily been developed as part of season 3 of the series – it simply has that feel to it. It could have expanded on the story as well as new and existing characters. I’m not saying that the film feels rushed because it certainly doesn’t (and at times there were some dragging moments), but if the series were to continue (and it’s still a possibility), this would have made for a great first couple of episodes. 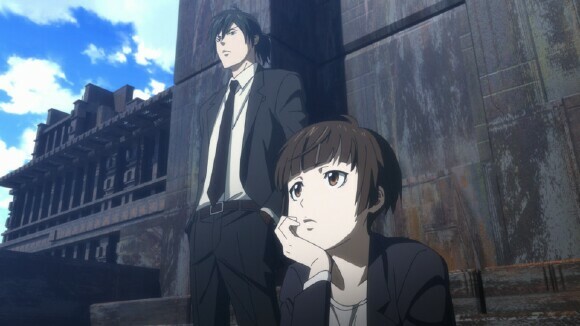 Psycho-Pass: The Movie will get a limited theatrical run in the US and Canada on March 15th and 16th, with a home release later this year. I’ll update this review when it’s announced but until then, fans of the series should definitely check this out if you can (especially if it’s showing in your area). And newcomers please watch the two season series before diving in or else you’ll get lost trying to keep up. The film is the perfect companion to the series, complete with a deep, rich plot as well as some awesome action to make for one hell of a viewing experience. And out of TOV 5 stars, I’m giving Psycho-Pass: The Movie a 4.